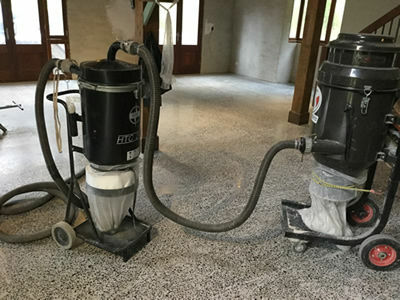 Keeping abreast of modern building trends, Custom Floor Sanding offers small to medium area concrete grinding and concrete polishing. 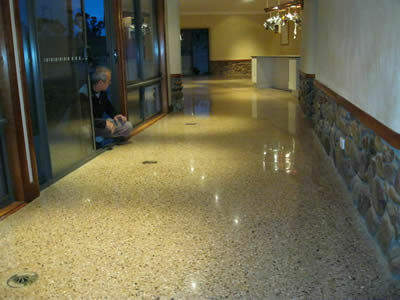 Polished concrete floors are a versatile and stylish flooring finish that have fast become the surface of choice in many commercial and residential projects. As an added layer of protection against, spills, dirt & mould a concrete sealer can be applied to the polished concrete surface. Our concrete polishing machinery is especially designed to fit through residential doorways and hallways if the walls are already in place. 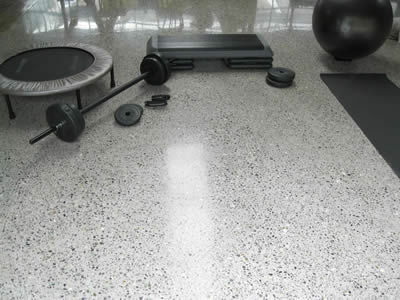 Please note that concrete polishing is far more economical before walls are in place!